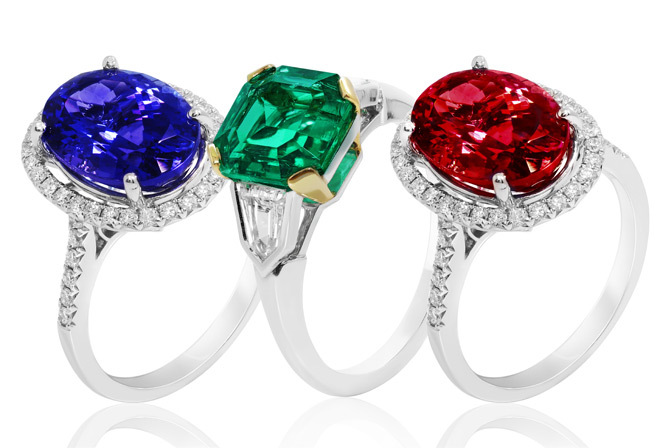 We’re members of the AGTA and have been since our inception. Simply Sapphires was formed by people who love and admire gemstones. We’ve been online selling only natural stones since July of 1998. Here we try to answer some of the more common questions we receive. All of the stones in our inventory and on our site are natural. NOT one stone is man-made, lab created, or artificial. Our sapphires are not irradiated, diffused, glass filled, oiled, synthetic – and many are not even heat treated (over 95% of sapphires in the marketplace are heat treated to enhance color and/or clarity). How do I know you're a real company? Read our independent reviews. We think its very important to have unedited reviews of our business practices from our clients. All of these reviews are collected by outside organizations, We’ve seen some companies list anonymous reviews or a few sentences in quotes from outside parties, but does make you wonder why they don’t give you access to the full unfiltered content. Are the photos I see of the actual stone I'm interested in purchasing? Yes. We buy in small quantities, and the stone you see is the one you are purchasing. Sometimes it takes us 30+ photos to capture a stone as it appears naturally. We never substitute photos of similar stones! What is heat treatment and how does it affect the value of a stone? Since about the Roman times, gemstones have been treated with heat to improve the color or appearance of the finished stone. For example, heating greenish brown Zoisite to 600 degrees Celsius produces the currently popular vibrant violet-blue Tanzanite. High quality unheated Rubies and Sapphires are extremely rare (only about 5% go untreated) and command a much higher market price. When purchasing high quality Rubies and Sapphires, ensure it’s certified by a reputable lab, without that certification most insurers will not accept it as an untreated stone. Gems demonstrating natural phenomena such as star sapphires and star rubies will not have been heat treated since the heating process will alter the microscopic needle-like inclusions that create their star effect. Why aren't all stones certified? Cost. An accurate certification from a reputable lab can cost between $50-300 a stone. What are appraisals and how should I choose an appraiser? There are no laws in most states or countries regulating who can appraise gemstones or jewelry. Anyone can “hang out a shingle” and call himself an appraiser. Don’t be afraid to ask about the appraiser’s credentials and affiliations. A qualified appraiser should be a G.I.A. Graduate Gemologist, and also have a current affiliation with one or more of the three most vigilant national appraisal societies (ISA, ASA and/or NAJA). No One Who Sells Jewelry Can Fairly Appraise The Jewelry Sold By A Competitor. An honest and accurate appraisal/certification of your stone should be an independent one. Don’t be afraid to ask. As Simply Sapphires is a member of the AGTA, the AGTA prohibits its members from certifying/appraising internally, because of the obvious confict of interest issues that could occur. What if I don't like it once I receive it? Return it to us. We guarantee complete customer satisfaction with every purchase. If you order an item from us and are not completely satisfied, you may return your order within 10 days of receipt for any reason. Shipping and insurance fees are non refundable. Items returned must be in the same condition as sent. To return or exchange merchandise, please send it fully insured and properly packaged by USPS, UPS or FEDEX with your instructions for exchange or refund. No. One of the ways we keep our costs low is by minimizing the extras so we can remain focused on the stones alone. We don’t normally sell settings because it gets us away from our main love, the gemstones. We’re happy to suggest suppliers for you by request. It seems most of our customers (both consumers and dealers) like to have the stones set themselves to create an original piece of gemstone art. We work with a small group of jewelers nationwide that we know the quality of their work and would be happy to suggest one for you if you like.